Did you know half a million eligible Canadians don’t claim their rightful disability benefits? In addition to being put off by the CRA’s complex application processes, many Canadians don’t realize that their chronic condition meets the threshold for the Canadian Disability Tax Credit (DTC). Your condition causes severe physical and/or mental impairment. Your impairment has persisted or will persist for at least one year. 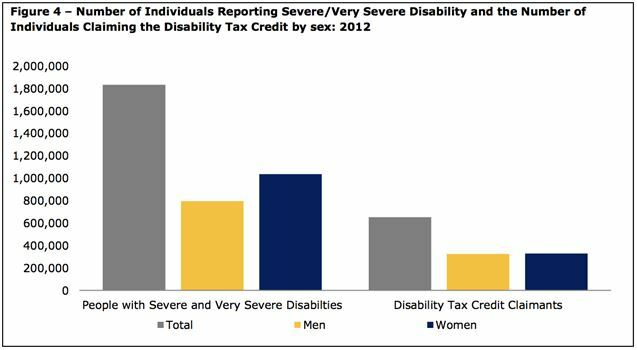 A medical practitioner (including but not limited to your family doctor) must certify the severity of your impairment on your Disability Tax Credit application. Do You Qualify for the DTC? These are just a few of the numerous conditions that can affect your life severely enough to qualify you for the DTC. Don’t let uncertainty or fear of rejection keep you from the Canadian disability benefits that will make life easier for you and your family. If you’re still unsure whether you qualify for disability tax benefits, contact The National Benefit Authority for advice about DTC eligibility and the application process. We’ve helped over 40,000 Canadians claim disability tax benefits up to $50,000 and we can do the same for you. To see if you or your loved one with a disability qualifies for one of these disability benefits, you can fill out a T2201 form for the DTC.